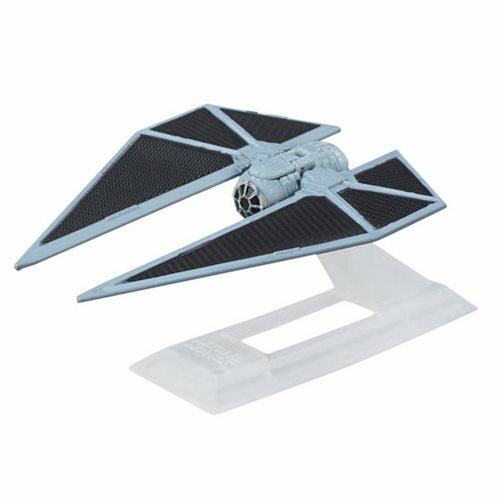 Deploy the fleet - the Titanium Series are back for Rogue One: A Star Wars Story! Each 3-inch vehicle in the Star Wars: The Black Series Die-Cast Metal Vehicle features exquisite detail taken from the movies. Each box includes a display stand to hold up each craft made of metal and plastic parts. Vehicles span the entire saga, and some include moving parts like wings, landing gear, and cannons. Vehicle measures approximately 3-inches in length. Ages 4 and up. Includes 1 individually packaged vehicle (subject to change).